How you use your knife will determine what type of sheath style is best. Please keep in mind that this is by no means the limit of what we can do. Due to space limits we have only posted the more popular choices. If you do not see what you like send us a picture of what you want and we can make it. 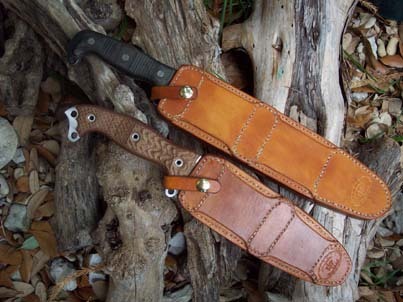 This high ride sheath is a standard style sheath with a keeper strap over the knife guard. These mid RIde sheaths are standard style with a removable keeper strap that goes around the knife handle. This retention style is used in our B.A.D.A.S.S. 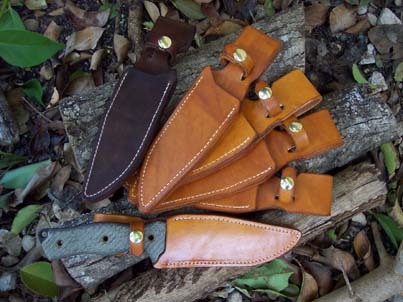 and the Randall Style sheaths. The knife is secured in the sheath with a a Loveless Cam. 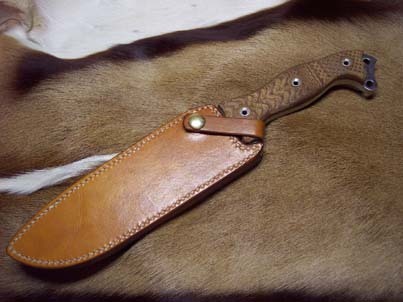 This sheath style goes up onto the handle. 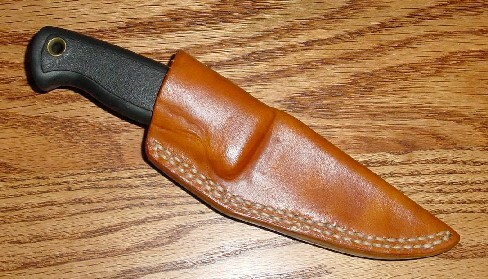 This sheath style only covers the blade. You have your choice of guard or handle keeper strap. 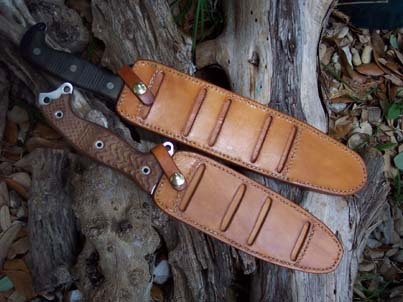 This sheath style relies on a Loveless Cam for retention. There is stitching up boh sides of the sheath. 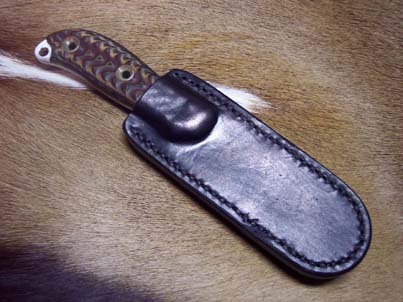 The bottom of the sheath follows the blade line. 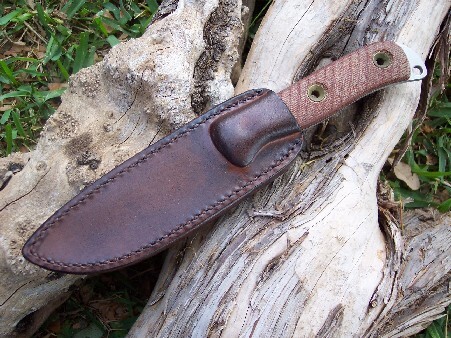 This sheath style relies on a Loveless Cam for retention. There is stitching up both sides of the sheath. The bottom of the sheath is rounded. These sheath options carry an extra surcharge. This sheath option comes with a vertical dundee strap, mid or low ride carry, extra loops on the back and straps for extra carry options. 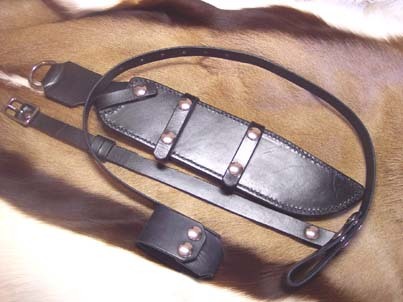 This sheath has all the above plus a dangler loop. 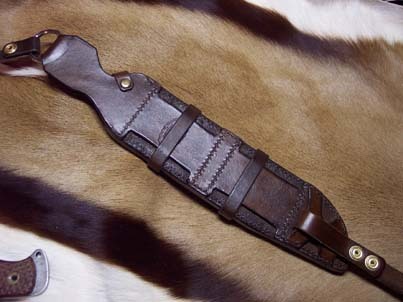 This sheath features many carry options. Named after the guy who inspired it.